-Wear long sleeve shirts and long pants when going into tick country. Light colors are best so ticks can be easily seen. -Tuck pants into socks and spray the clothes with a known tick repellent. -After being in an area known to harbor ticks, check skin and all hair areas thoroughly. Remove ticks promptly with tweezers. DO NOT squeeze, smash, pinch, twist, burn or smother/try to drown the tick. -Check pets carefully, they are a source of entry for ticks into the house. Deer hunters need to spend extra time checking their gear before bringing it into autos and homes. 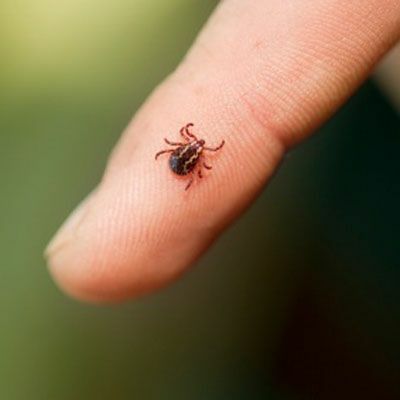 If you think you may be infected with a tick-borne illness, contact your doctor immediately.